Few people want to spend their Valentine’s Day thinking about a mouse in the house. Our motto at EarthKind is to ‘love life, live kind!’ We’ve put together a list of the most useful tips we’ve shared over the years, making it a little easier for you to love life and live kindly – even if you find yourself dealing with a little house mouse. This is one of the most common DIY ways to get rid of mice, but it doesn’t always work. We know that using scent-based repellents is a proven method of mouse control, but peppermint oil only works some of the time. You can use it in a pinch, but for long lasting protection, look for a repellent with an EPA Registration like Fresh Cab. 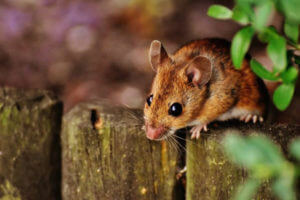 Things Mice Don’t Like – What Scares & Repels Them? The best way to get rid of mice is to make sure your home is unattractive to them. 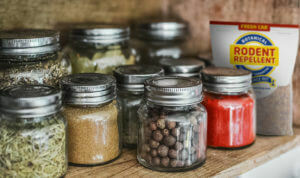 Do this by making sure food sources like leftovers, food scraps in trash and compost, and even pet food are stored in airtight, chew proof containers. Then create a protective barrier around your home with a strong, botanical scent (like the balsam fir oil found in our rodent repellent) that will make mice stay away. No one really wants to talk about mouse poop, so we did the dirty work for you. Recognizing rodent droppings will help you identify the signs and severity of an infestation. Make sure to follow the CDC guidelines for cleaning up after rodents to prevent the diseases spread by rats and mice. Mice are surprisingly noisy, but the sounds they make scampering through walls and ceilings can be difficult to identify. Pay attention to scratching, squeaking and scurrying sounds in your home – especially at night when mice are most active. Mouse Lifespan – How Long Do Mice Live? A mouse can live for about 2 years, although many don’t make it that long. Although their lives may be short, they don’t waste any time and begin making mouse babies at just 6 weeks old! One pair of loving mice can lead to thousands of offspring. Loving life (in all of its forms) and living kindly doesn’t mean putting up with a pest infestation. Taking a few small steps today to prevent household pests means that mice can have a home too, just not inside your home. 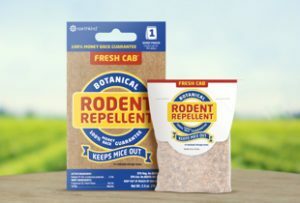 Choosing a plant-based pest repellent is a choice that is kind to people, pets, the planet, and even your pocketbook! Click any of the links above to learn more and find out how easy it is to DIY pest control. 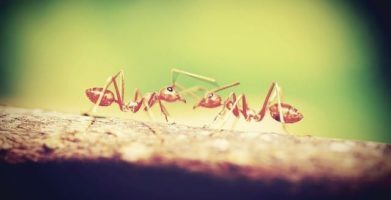 Spring brings an army of household pests like ants, so use “StayAwayAnts” coupon code to get one free sample pouch of our plant-based ant repellent Stay Away® Ants for free with your next order! Spring brings an army of household pests like ants, so use "StayAwayAnts" coupon code to get one free sample pouch of our plant-based ant repellent Stay Away® Ants for free with your next order! string(39) "Most Loved Tips for Getting Rid of Mice"